What is non-surgical lip augmentation? Non-surgical lip augmentation is a cosmetic procedure that involves injecting dermal filler or fat into the lips to make them fuller and plumper. 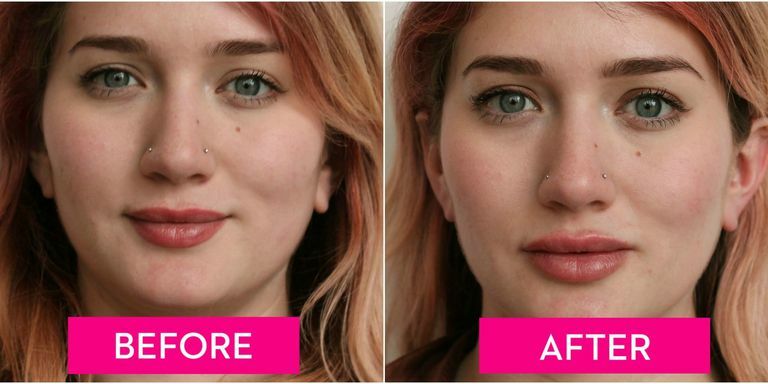 What are the age-related changes in the lips? Volume loss in the lips and lines developing around the mouth are some of the earliest signs of aging. Most lips will lose their volume and definition over time but lines and wrinkles around the lips are more typically seen in individuals who smoke and/ or purse their lips when they speak. Lighter skin tones and those with increased exposure to the sun are also more likely to be affected. What are the non-surgical treatment options for lip augmentation? At Bedford Skin Clinic, we use a range of dermal fillers for lip augmentation such as Juvederm (Ultra3, Ultra4 and Volift), Restylane (Restylane and Restylane Lyft) and Teosyal Redensity. Lines around the lips are usually treated using Juvederm Ultra2/3 and Juvederm Volbella. In some instances, dermal fillers can be used in conjunction with a small dose of Botox to achieve optimal results. We also offer fat injections for lip augmentation for more permanent but natural results.